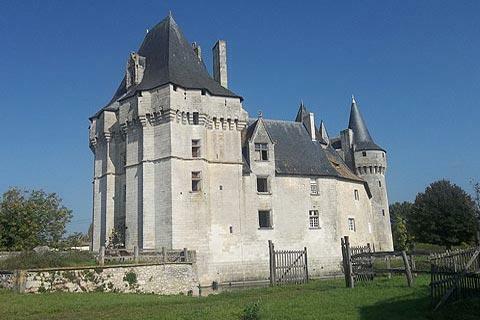 The Chateau de Cherveux is an imposing medieval castle situated close to Niort in the Deux-Sevres department of Poitou-Charentes and in the centre of the village of Cherveux. The original castle here largely dates from the period from the 12th to the 14th century, although much that you can see today is the result of a major reconstruction around 1470 by the Scotsman Robert Cunningham, after he gained control of the castle through his marriage to Louise Chenin - hence Cherveux is often referred to as the 'Scottish castle in France'. By the time of the Wars of Religion the castle had been further reinforced, but was still seized on three occasions between 1569 and 1586. 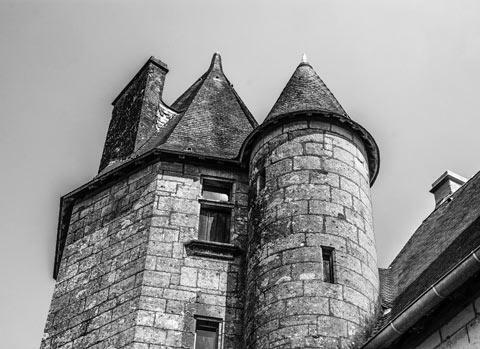 The Chateau de Cherveux suffered substantial damage during the period of the French revolution, before falling to the ownership of the Clouzot-Meynier family, subsequently passing in 1931 to the Redion family who own and maintain the castle to this day. The structure of the castle is dominated by a substantial donjon and various other towers and buildings, and the ruins of an ancient tower, all around a five-sided courtyard, and is reached by a stone bridge with three arches across the moat which has replaced the original drawbridge. 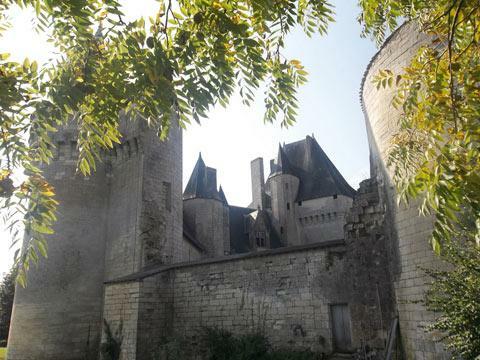 Note in particular the hexagonal towers that contain the staircases and the impressive examples of gothic style stonework such as those around the entrance door leading in to the logis and the dragon of the Scottish flag that can be seen on the window of the donjon. 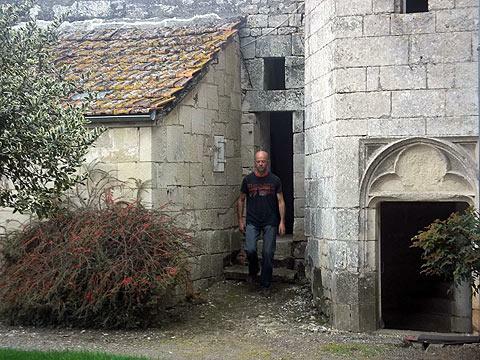 Inside the logis you will see that the original room was at first floor level, although it's floor has now disappeared making the room visible from the ground floor. 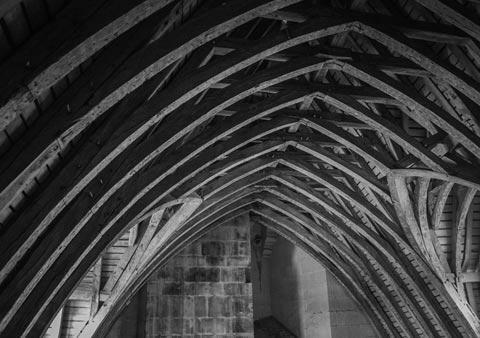 It is also inside the castle that you will see some of the most impressive carved stonework to be seen at Cherveux, and some impressive carpentry work described as being of the 'coques de bateaux retournés' style because of its resemblance to an upside-down boat. 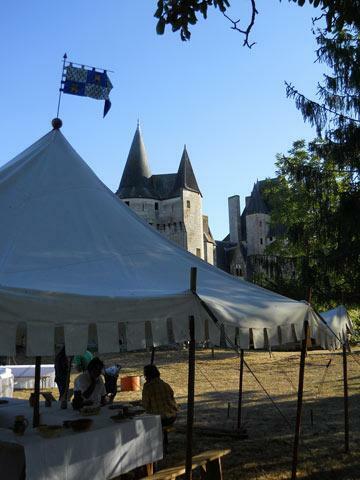 The history of the "Vieille Alliance" is explained to visitors as well as the Hundred Years Way from the Battle of Agincourt to the battle at Castillon-la-Bataille, and then the story of Louis XI and his Scottish Captain : Robert Cunningham, builder of the castle. 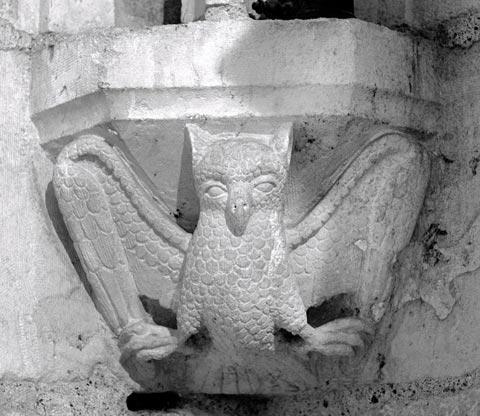 The town of Niort is a short distance south-west of Chateau de Cherveux and has some interesting monuments to discover, including a substantial donjon. 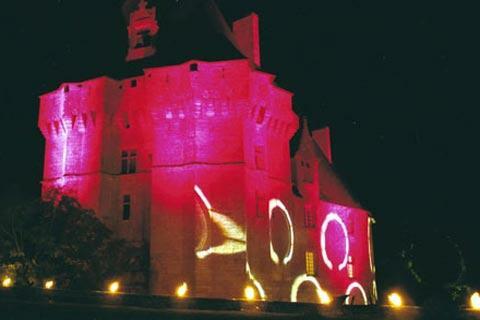 Both Niort and the nearby village of Coulon are popular bases for exploring the marshes of the Marais Poitevin region. To the north of the Chateau de Cherveux we enjoyed a stroll around the historic centre of Parthenay.